RYCOR is thrilled to announce that its suite of K12 Administrative Solutions was chosen as a finalist in the 2019 EdTech Digest Cool Tool Awards in the Administrative Solution category. For nearly a decade, The EdTech Awards persists in recognizing and celebrating the creators, leaders, and innovative trendsetters that deliver outstanding contributions in the education technology industry. 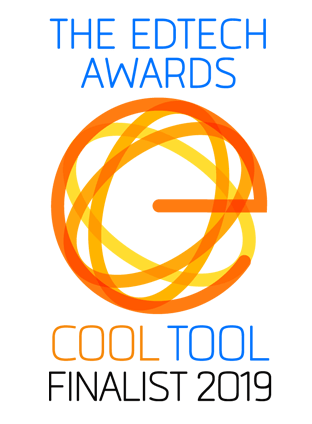 The Cool Tool Awards recognize new, emerging and established technology companies that transform education through their solutions. Other than administrative solutions, this year’s program featured over 50 subcategories including classroom management solution, enrollment & admission solution, literacy/reading solution, and many more. The RYCOR suite is an end-to-end solution for school administrators that simplify back-end school processes, so fewer resources are spent on administrative work and more on maximizing the impact of education. The suite components include Fee Management, Online Payments, and Advanced Forms designed to deliver transparency, flexibility and security. The intuitive design works simply for all stakeholders including parents, school staff and administrators. RYCOR is a Vancouver Canada based SaaS provider of business administration solutions exclusively for K-12 schools and school districts. RYCOR started as an in-classroom fee management solution allowing teachers to stop collecting money and getting back to do what they do best, teach. Today RYCOR has grown into a full suite of business solutions that includes: Fee Management, In School POS, Online Payments, Online Forms, Asset Management, Lunch, and Event Ticketing. RYCOR currently operates across North America and has clients in 22 states and provinces with an annualized growth of over 20% for the past ten straight years.